Swingin’ and Singin’ on the beach summer concert 2018! 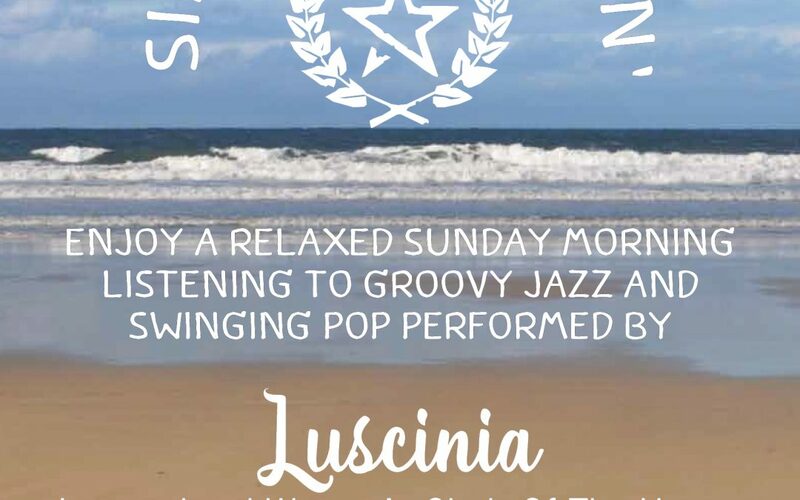 You’re welcome to join us for a relaxed Sunday morning on the beach, listening to groovy jazz and swinging pop. Anouk's 'Birds' by Luscinia International Women's Choir of The Hague. Summer concert for family and friends. 25 June 2017, beach bar De Staat, the Hague. 'Fever' by Luscinia International Women's Choir of The Hague. Summer concert for family and friends. 25 June 2017, beach bar De Staat, the Hague. Hello friends of Luscinia. We have just uploaded a bunch of videos of our summer concert. Check the posts on FB or go to our YouTube channel. Thank you Reese for recording and editing. Great job! 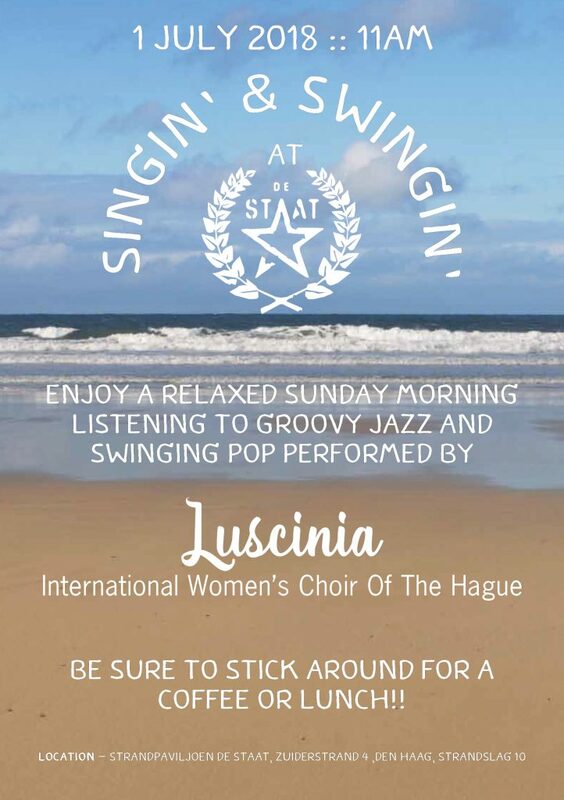 'Cabaret' by Luscinia International Women's Choir of the The Hague. Summer concert for family and friends. 25 June 2017, beach bar De Staat, the Hague.